Performance and riding pleasure: the uncompromised mission of the Brutale 800 RC, where RC stands for “Reparto Corse” (Racing Department). This naked is in fact the most race-focused of its kind. 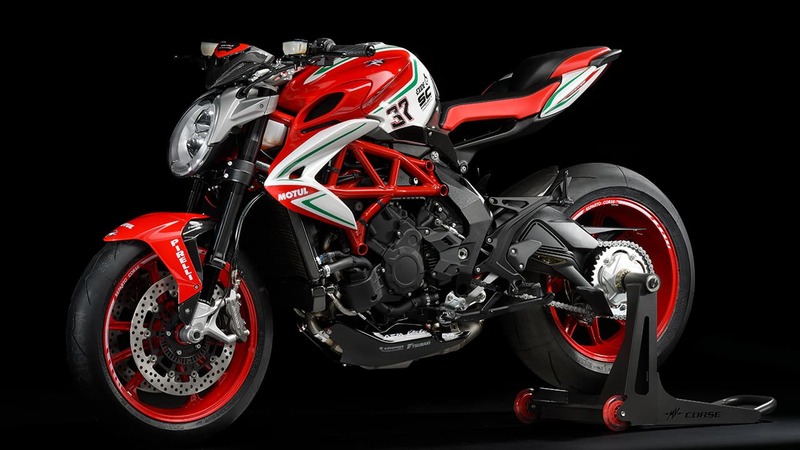 Born as a four-cylinder, Brutale was reinvented to become even better looking and exciting to ride. A success story, now reinterpreted by our racing department in the name of maximum performance. Produced in a limited 350 units series, the Brutale 800 RC stands out for its exclusive components, including carbon fibre front fender spoiler, rear fender, radiator shrouds and dash cover. The seat has personalised “Reparto Corse” graphics. It also features RC forged alluminum wheels and an extensive racing kit. Every unit features a progressive production number. 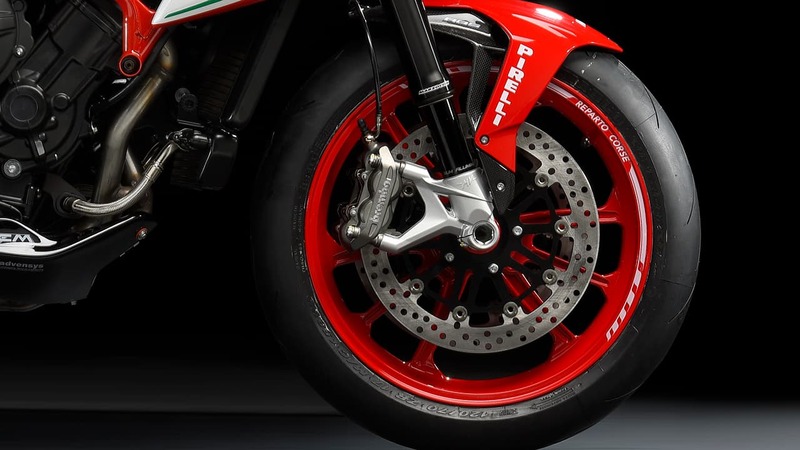 The colour scheme pays homage to the Reparto Corse F4 World Superbike. 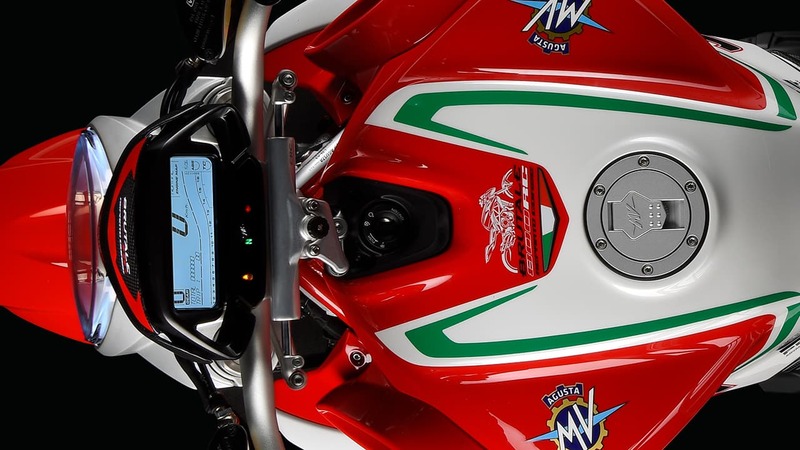 The number 37 on the fairing is a clear tribute to the history of MV Agusta, with its 37 World Championships titles. Technical sponsors’ logos are displayed on different parts of the bike. Naked and charismatic, the Brutale 800 RC is everything but conventional. 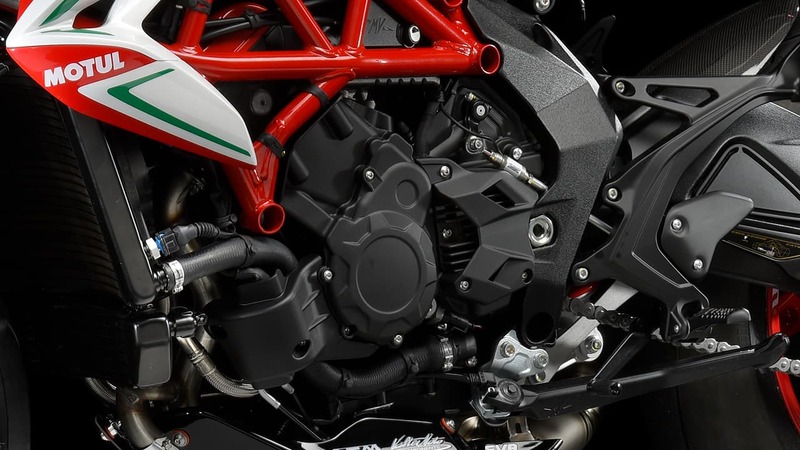 As fast as a fully-prepared race bike, it attacks the track and road with the same aggression. It’s the extreme naked. 110 kW (150 hp) at 12.800 r.p.m.